When Detroit declared bankruptcy in 2013, it became the largest municipal bankruptcy filing in U.S. history. With debts surpassing $18 billion, the city is facing countless problems, and for every step forward, it seems to take half a dozen back. One option that has been floated to battle the city’s downward spiral is to sell off the masterpieces in the city-owned Detroit Institute of Arts, one of the top art museums in the country. 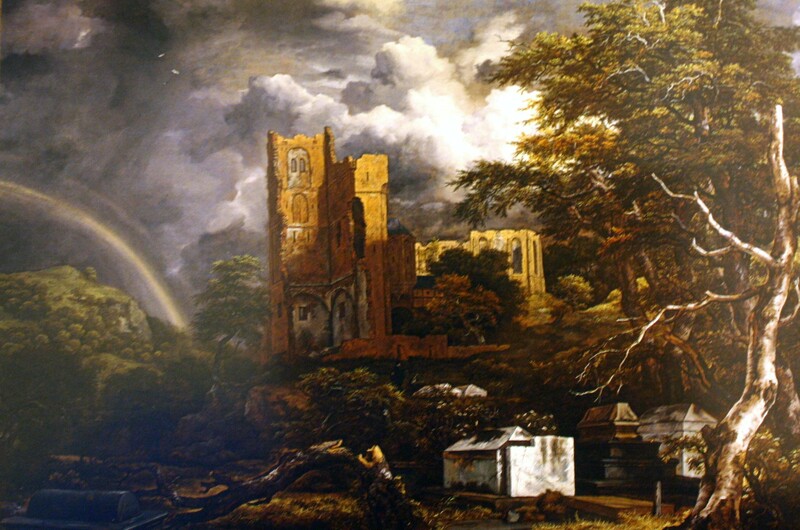 Jacob Isaaksz van Ruisdael impresses with his balance of light and dark in The Jewish Cemetery (1654). Raiding the DIA’s collection doesn’t exactly seem like a smart move — in fact, it’s simply inane — and the proposal does not appear to have much support. Nevertheless, we live in strange times, and anything can happen, especially in Detroit, where just about everything already has. 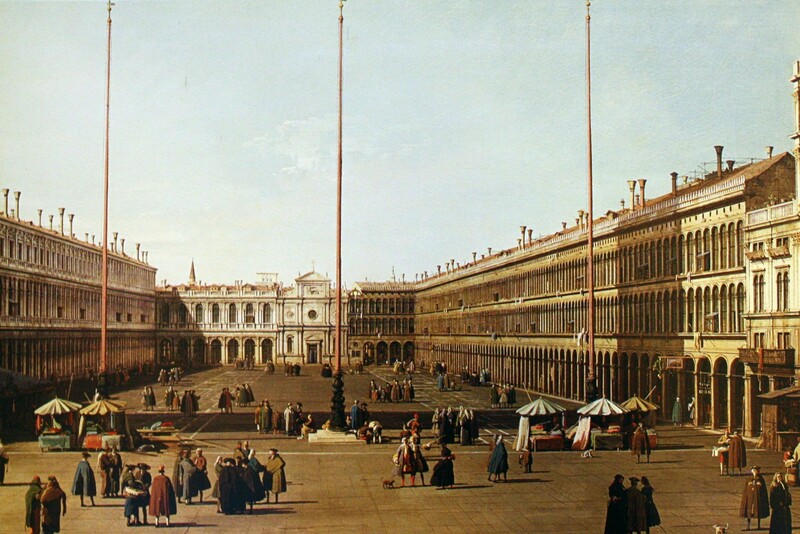 Nearly 300 years later, the Piazza San Marco looks almost identical to Canaletto’s depiction in 1739. Passing under one of the trio of arches at the main entrance, I took note of the words etched above: “Dedicated by the people of Detroit to the knowledge and enjoyment of art.” How sad that, one day in the foreseeable future, this may be taken away from those very same people. I had the pleasure of visiting the DIA when it was showing a special exhibit about chess sets. Cleverly titled Master Pieces, it displayed chess sets from around the world over the centuries. Different materials — ivory, Murano glass, ceramic — and different figures provided hints to the provenance of the set: Africa, India, Italy, Turkey. The abstract pieces clearly came from an Islamic set, in adherence to Muslims’ tradition of never recreating figures of actual people. Although I enjoyed the U.S.–made set of good (white angels) versus evil (red demons), I was most intrigued by the Russian-made set of a Communist force (with pawns happily harvesting wheat and a productive welder king) taking on capitalism (pawns in chains and a king represented by death). Henry Fuseli’s eerie The Nightmare (1781) is believed to be a depiction of sleep paralysis. Of course, it’s the permanent collection that has made the DIA a standout attraction in this crumbling city. The institute’s assortment of 60,000 works runs the gamut and covers millennia of sculptures, paintings, prints, drawings, and photographs from Africa, Asia, Europe, Oceania, and the Americas — everything from 3,000-year-old Egyptian figures to Dale Chihuly’s blown glass from the 1980s. It’s an astounding collection, and as I made my way through 100 galleries, I was constantly rewarded by something new, impressive, brilliant. I loved Jacob Isaaksz van Ruisdael’s use of light and dark in The Jewish Cemetery (1654). I loved the drama of Eugene Louis Gabriel Isabey’s The Wreck (1854), the Islamic pottery and tiles from the 1500s, and the Japanese silk hanging scrolls from the 1600s. I loved Canaletto’s The Piazza San Marco (1739) and how his depiction of Venice looks almost exactly the same as it does today. 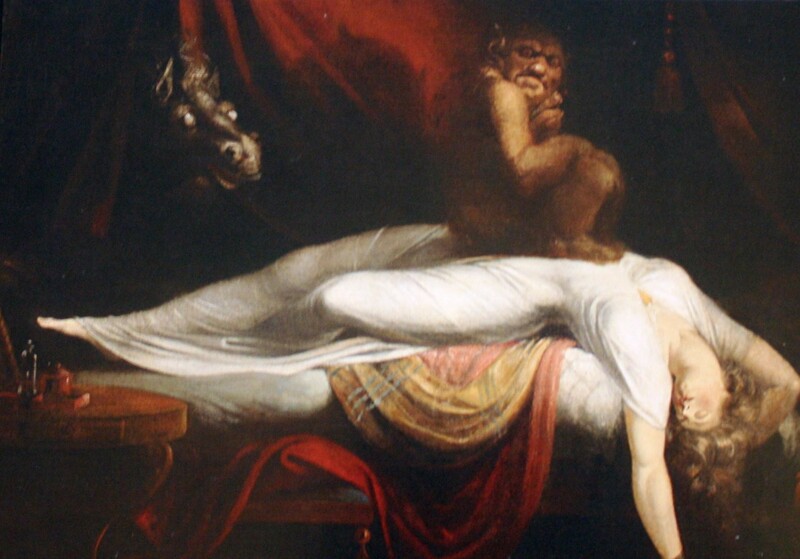 One of my favorite works was the positively creepy The Nightmare (1781), by the Swiss artist Henry Fuseli, with a sleeping lady in a clingy white gown, an incubus sitting on her stomach, and a demonic horse with lifeless eyes emerging from the shadowy background. 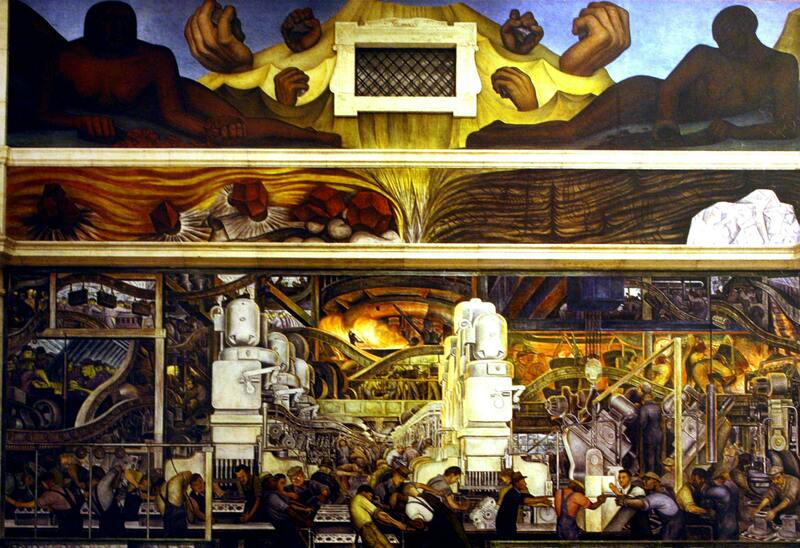 Diego Rivera’s Detroit Industry (1932-33) is the DIA’s most renowned piece. Surrounded by so many outstanding creations, I almost neglected to notice the beauty of the museum building itself. The Great Hall — lined by suits of armor from William Randolph Hearst’s estate under a fanciful barrel ceiling — was the most impressive space in the museum. That is, until I walked into Rivera Court. Under a wall-to-wall skylight, the entire room is devoted to Detroit Industry, the fantastic frescoes by the incomparable Diego Rivera, the Mexican Marxist who was commissioned by Edsel Ford to come to Detroit specifically to paint the massive murals in 1932–33. The 27 panels comprise hundreds of figures and images, and my eye was constantly finding new things upon each successive sweep across: factory laborers in one of Henry Ford’s plants; Meso-American figures; birds in fields of sunflowers; fruits, vegetables, and grains grown in Michigan; the production of poison gas — all expressed in Rivera’s idea that all things are connected. The visual stimulation of Rivera’s work was a perfect — and rather lengthy — way to end my visit. Hopefully, the city’s leadership, for too long plagued by shocking amounts of greed and corruption, will find a better way out of the mess they’ve gotten themselves into than by selling off artwork. But, should they be unable to do so, you should run to the DIA to see one of the country’s greatest art collections before it’s too late. We made the trip to the DIA last September. I grew up visiting the museum and was worried it may be my last chance. I hope that the news I have read about a private/public partnership may rescue it and shore up city workers pensions as well. It was a great trip back to the motor city with the jazz festival….a bike ride around Belle Isle…shopping in Midtown at Shinola and other interesting shops and wonderful dining. I still miss it…. I hope so, too, Joan. The DIA is much too special to become another of the city’s victims.